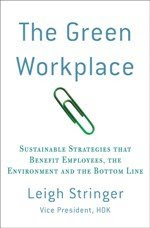 The Green Workplace: Greenest Presidential Canidate? Make your plug for Super Tuesday (Feb 5)! Who do you think will be the strongest on environmental issues? Tell us why and leave your comments below. As a Virginian, I'm going to have to wait to cast my vote until NEXT Tuesday...but, I'm thrilled that so many candidates are putting climate change/sustainabilitiy high on their list of campaign issues!